Bonnyville Dodge Chrysler Jeep’s state-of-the-art vehicle service center provides you with top-quality service and takes care of all your auto maintenance and repair needs. We offer all mechanic services from major repairs and regular vehicle services to windshield repair, car and truck detailing. We use only original equipment manufacturer (OEM) parts and accessories to ensure that your repairs are done right the first time. Our factory-trained technicians have access to state-of-the-art equipment and have the latest training to ensure they are fully capable of performing any repair that your vehicle needs. When you follow the proper maintenance schedule for your Dodge, Ram, Jeep or Chrysler vehicle, you can ensure that you get the best performance and longevity that your model can offer. And if you find your maintenance schedule difficult to understand, we will help go over it with you as well as send you reminders on when your vehicle is due for it next service. And while windshield repair might seem a minor service, it is actually an important part of maintaining your vehicle’s integrity in case of a collision. 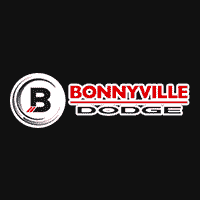 So, whether it is for a major repair, or to freshen up your vehicle with an interior and exterior detailing, trust the experts at Bonnyville Dodge to ensure that your vehicle is safe and ready to perform on the road. Book your appointment with our service center online today! One of the most important parts of your regular vehicle service is your oil change. Bonnyville Dodge Chrysler Jeep Ram’s warranty approved oil change service is one of the best ways to guarantee long life and proper functioning of your vehicle’s engine. Our express lube service ensures the smooth operation of your vehicle’s suspension and other components. Our commitment to 100% customer satisfaction is the main reason for our success. Enjoy our Quick Oil Change service: drive in and have a cup of coffee while your oil change is being carried out and relax in comfort. We also provide a shuttle service to clients in the local Bonnyville area. Book your oil change online.